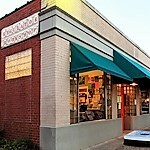 Co-owner Elliot Berger said he believed the store was targeted due to its reputation as a communist bookstore, despite the fact that it sells books from various viewpoints. The Banned Books Week Coalition has created new resources to help booksellers promote this year’s annual celebration of the freedom to read, to be held September 23–29. The hearing included remarks and testimony from retailers, advocates for tax reform and for small business, and legislators. 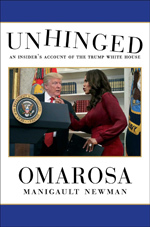 The groups sent a letter to White House Press Secretary Sarah Huckabee Sanders concerning reports that the White House had barred CNN reporter Kaitlan Collins from covering a press event on July 25. What Does South Dakota v. Wayfair Mean for Retailers? A new E-Fairness Timeline available on ABA’s Advocacy page shows the many ups and downs throughout the long fight to sales tax fairness in which independent booksellers played a leading role. The American Booksellers for Free Expression (ABFE) has sent a letter to the Chinese Ambassador to the United States, Cui Tiankai, urging the Chinese government release Gui Minhai, a publisher and bookseller detained by Chinese authorities earlier this year. 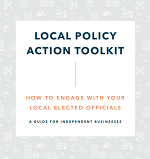 The toolkit offers independent business owners and retailers tips for engaging with their city officials and advocating for policies that strengthen and grow local businesses. A new report from the Institute for Local Self-Reliance indicates that some government agencies and public schools that purchase from Amazon may be paying more than they should. 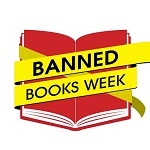 The Banned Books Week Coalition is offering new tools and resources to help booksellers prepare for this year’s celebration of the freedom to read, to be held September 23–29. The bipartisan Economic Growth, Regulatory Relief, and Consumer Protection Act, signed into law last month, rolls back some of the strict regulations on banks established by the 2010 Dodd-Frank law.